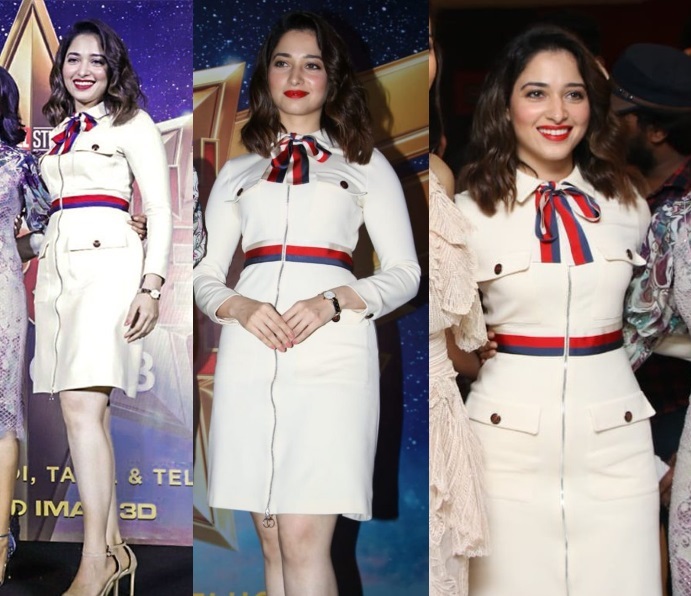 At a press meet for Captain Marvel, Tamannaah was seen wearing a Gucci dress with ankle-strap sandals and a bright red lip. She looked good. It looks lovely on her but it also looks like a potentially very chic uniform for Air Canada or British Airways. Quite heavy makeup. She doesn’t need it. Could have been more cute had she worn those typical Gucci sandals with it. Tawajjo faramye – Air India ki parwaz AI xyz rawangi k liye tayyar hai.